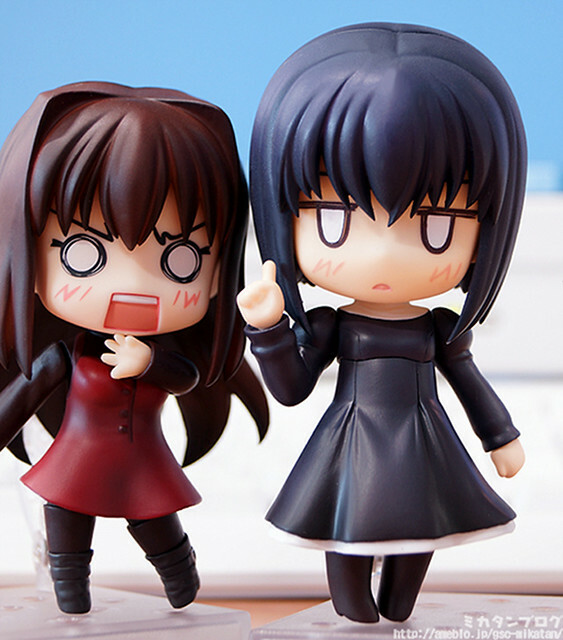 Nendoroid Aozaki Aoko from Mahou Tsukai no Yoru has been released today, so it seems that it is the perfect time to preview an upcoming Nendoroid from the series: Nendoroid Alice Kuonji. Alice will be wearing her black outfit, including her one-piece dress, a muffler, and fluffy cap. The muffler and cap are removable, so you can also re-create Alice’s indoor looks. There are a few other interesting parts included in her package, such as the sitting-on-the-moon parts as well as her familiar ‘Robin’. With that parts on board, it is pretty obvious that there should be some trade-off somewhere. Unfortunately, the section getting slashed is the number of optional faceplates, as Alice will only bring two expressions: the default one and the chibi face. Anyway, Nendoroid Alice Kuonji will be available for pre-order starting next week. 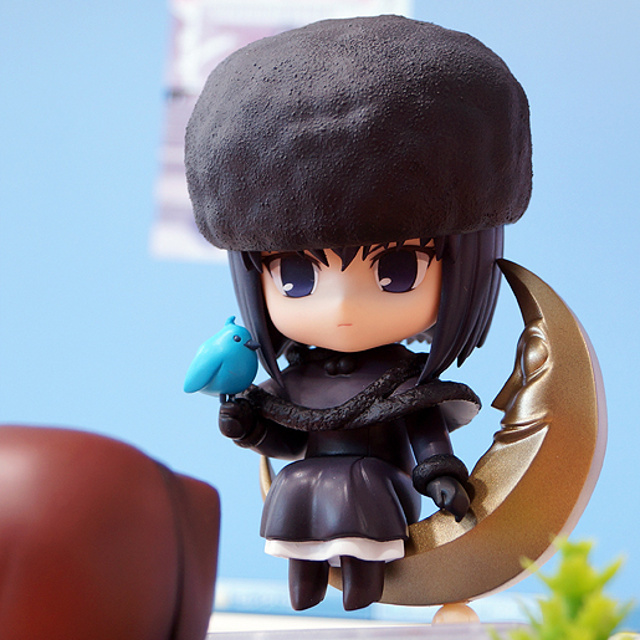 This entry was posted in News and tagged alice kuonji, mahou tsukai no yoru, nendoroid. I think she’ll be coming with three expressions, though! There’s a slight blush on some pics http://livedoor.blogimg.jp/gscmikatan/imgs/7/4/741d28aa.jpg so I think it’s a different faceplate, but they just look so similar..